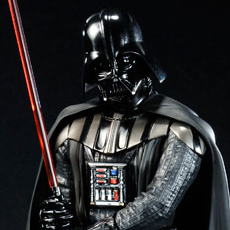 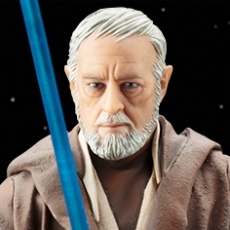 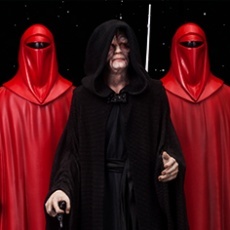 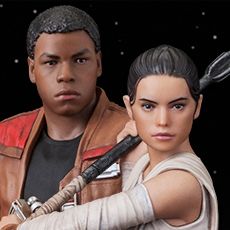 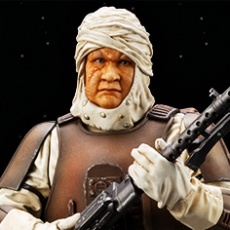 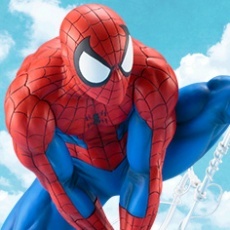 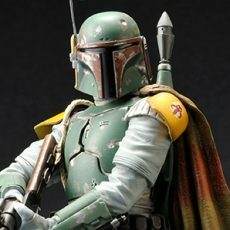 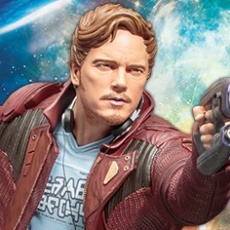 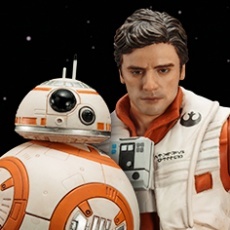 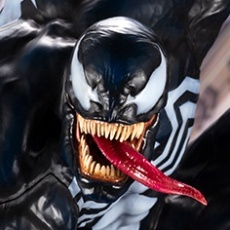 Next up in Kotobukiya’s amazing line of Star Wars ARTFX Statues, bringing the heroes and villains of the Star Wars universe to life in dynamic 1/7th scale statues, after Obi-Wan Kenobi is another venerable Jedi Master. 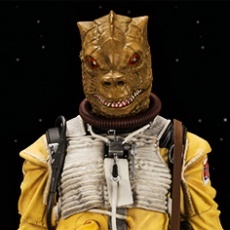 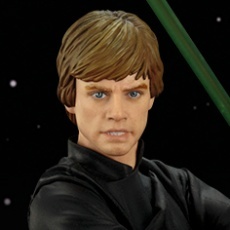 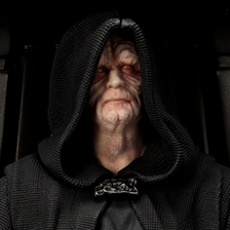 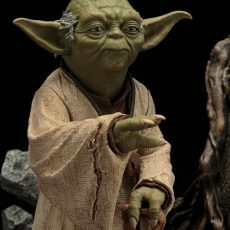 Coming to you directly from his appearance in Episode V is YODA THE EMPIRE STRIKES BACK VER.! 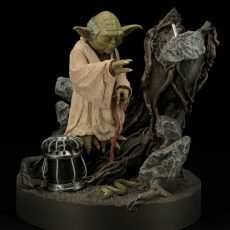 Having exiled himself to hide from the evil Empire, the former head of the Jedi Order waits on the swampy planet of Dagobah where one day a young Jedi hero will find him. 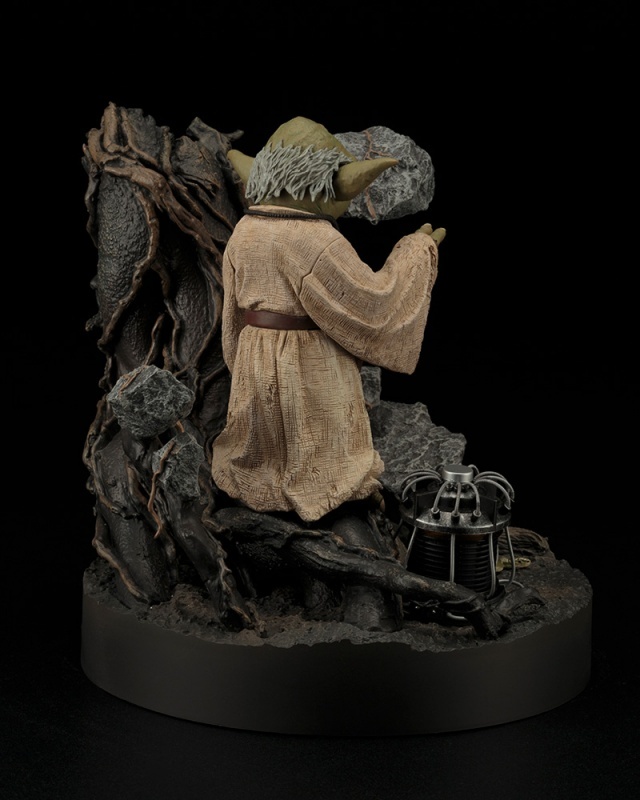 Meanwhile Yoda keeps up his Force skills by levitating rocks and other items from his perch on a stunted tree. 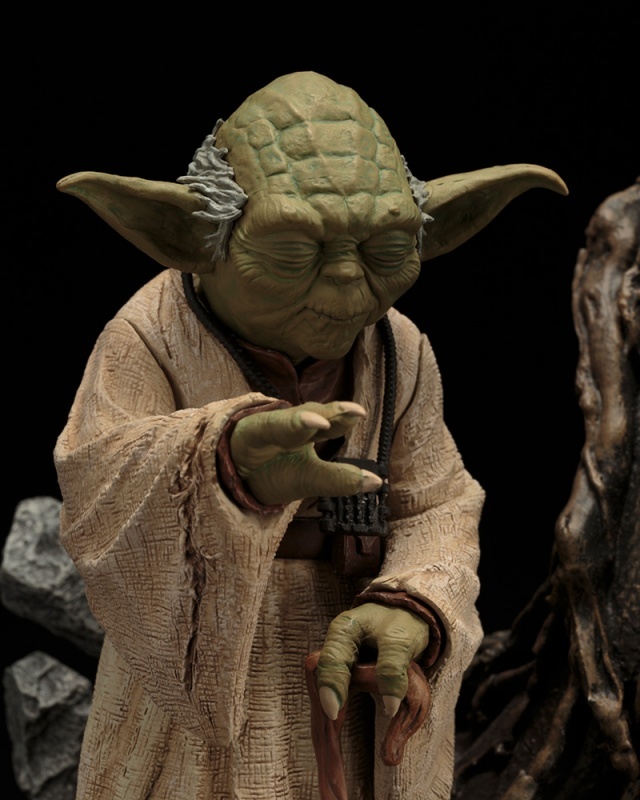 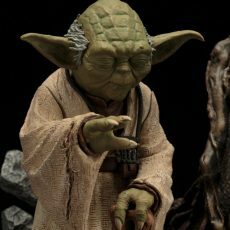 Wearing his old ragged robes and carrying his gimer stick cane, the diminutive Jedi Master is intricately sculpted with all of the wrinkled green character’s ancient charm. 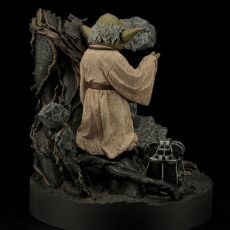 Yoda’s tree is decorated with an incredibly detailed texture and convoluted vines, while the floating rocks are craggy and broken. 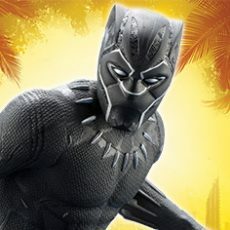 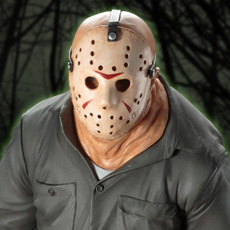 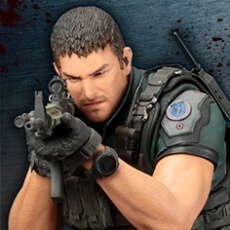 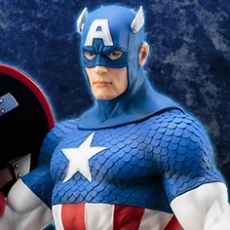 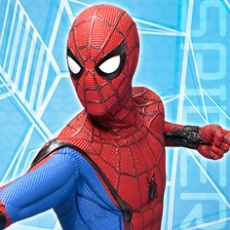 The venerable hero features two interchangeable heads for your choice of display options: eyes open and patiently observant or closed in intense concentration. 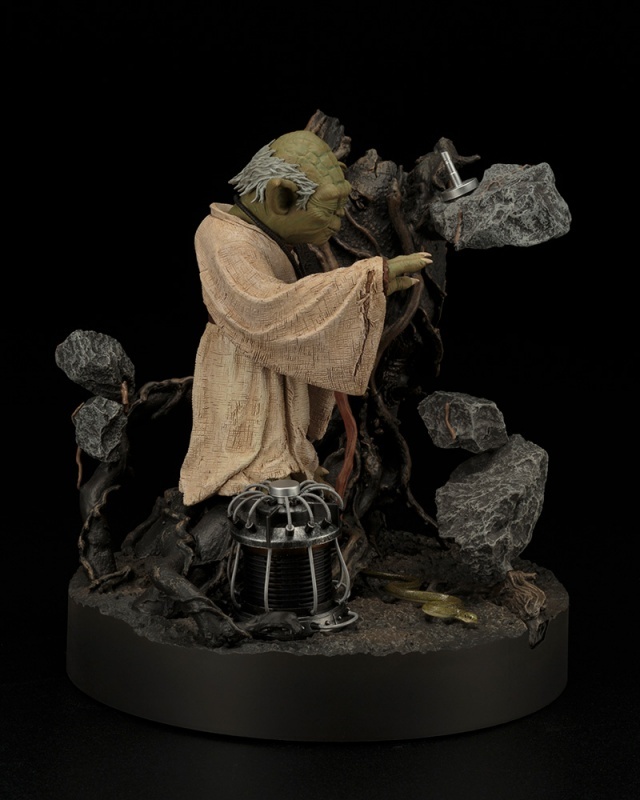 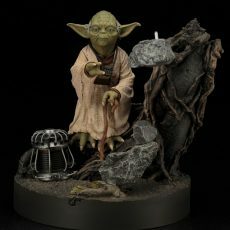 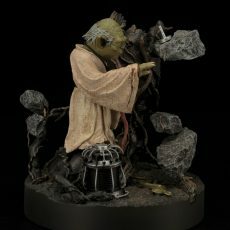 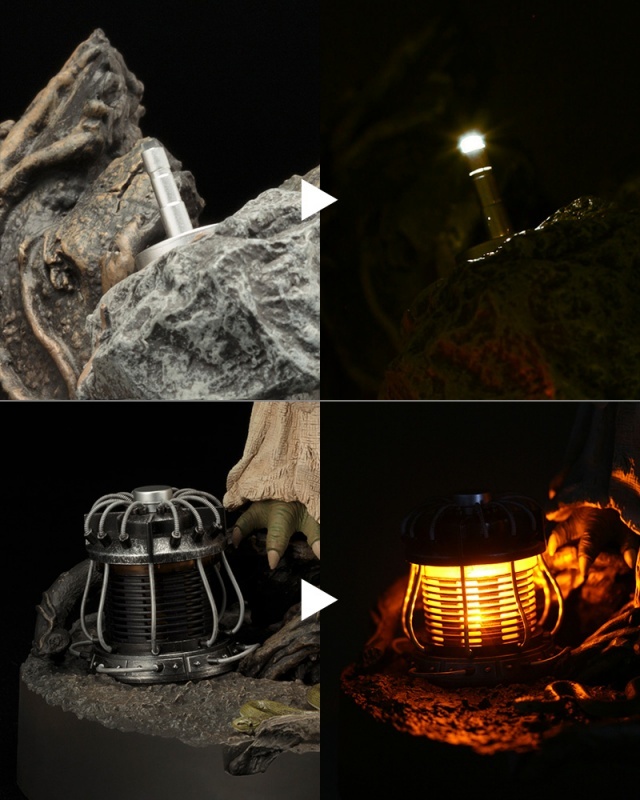 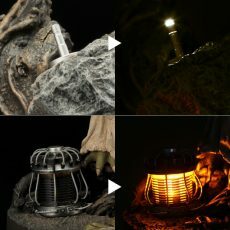 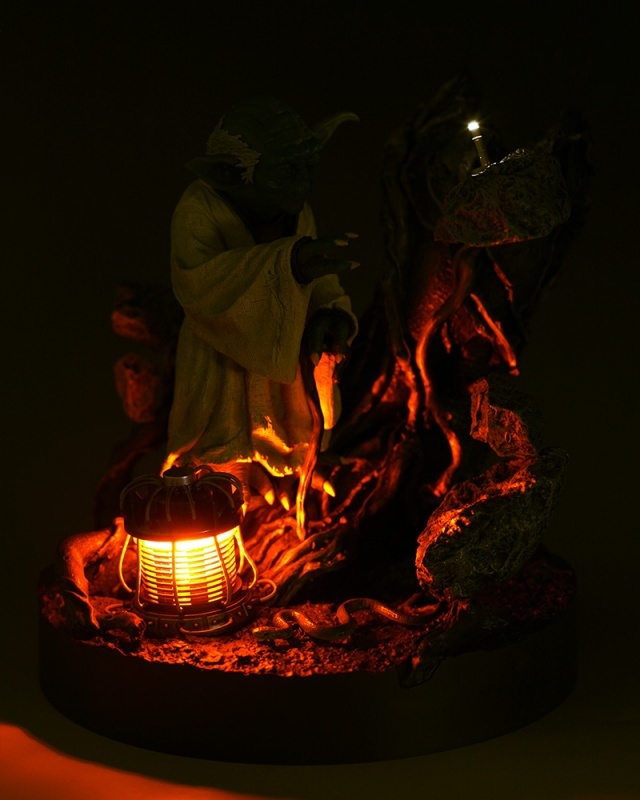 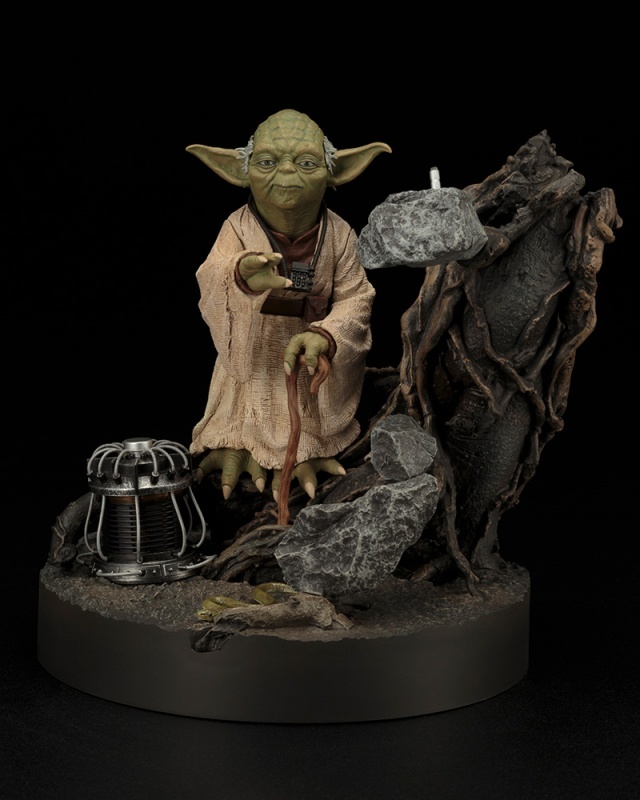 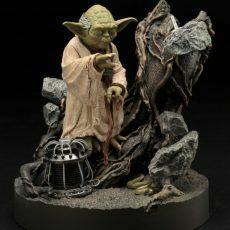 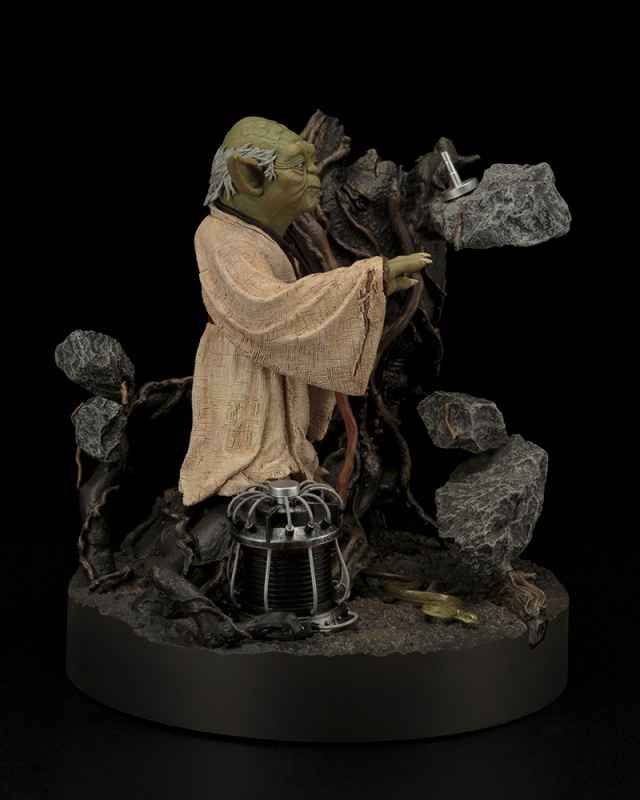 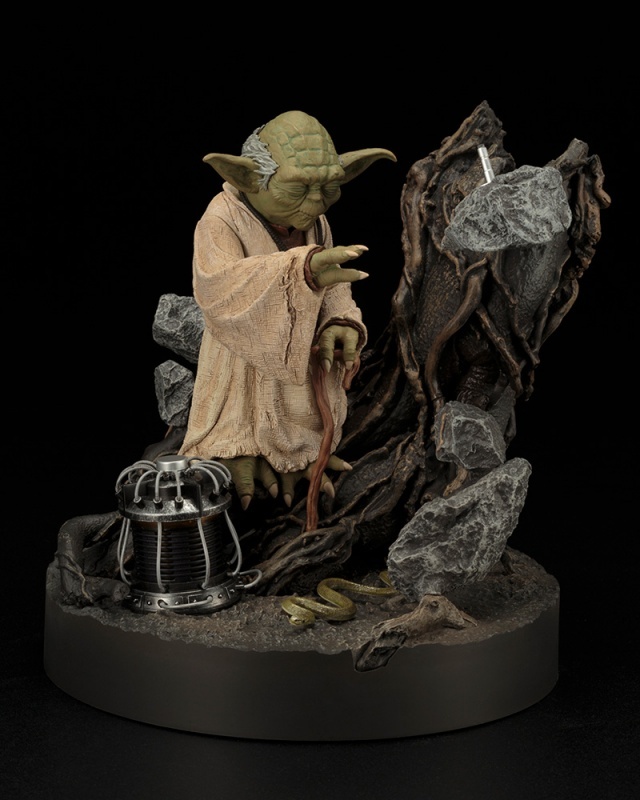 As with other recent ARTFX releases, Yoda’s base comes equipped with LEDs; the small lamp on the floating rock and the power generator on the ground both light up! 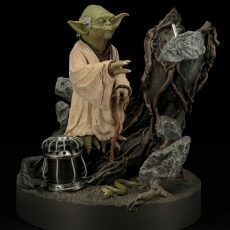 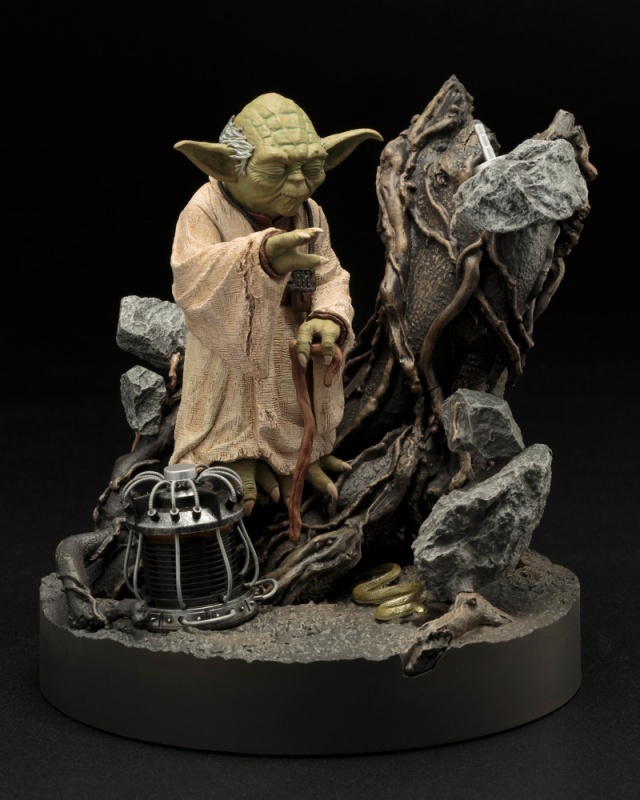 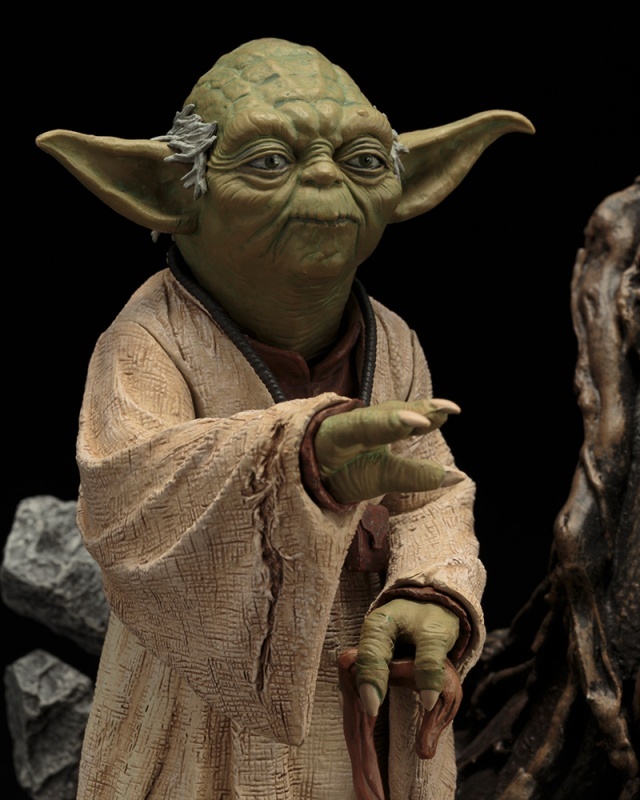 Yoda stands approximately 4 inches tall (1/7th scale) on his exclusive 7 inch tall Dagobah base. 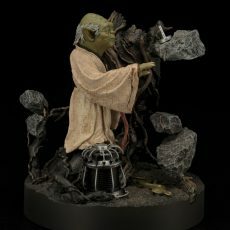 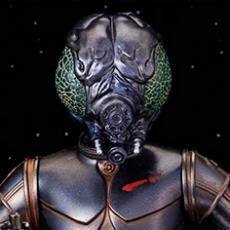 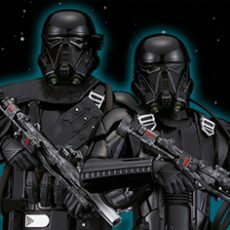 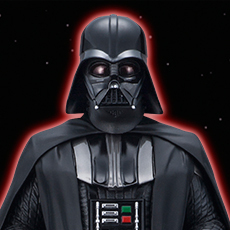 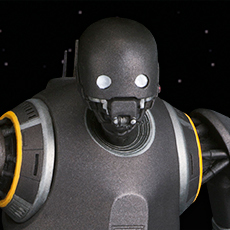 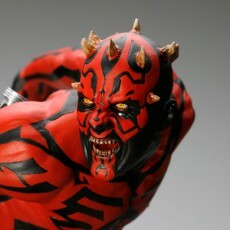 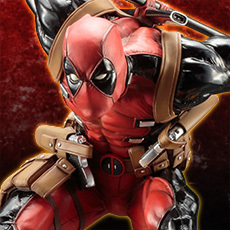 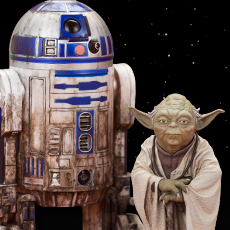 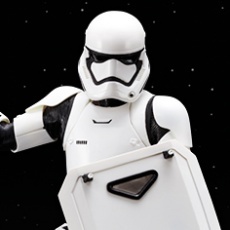 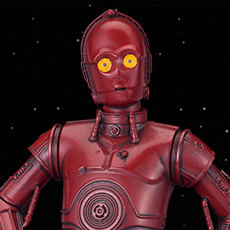 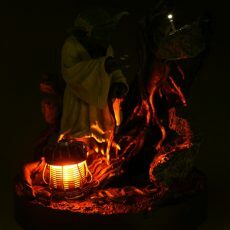 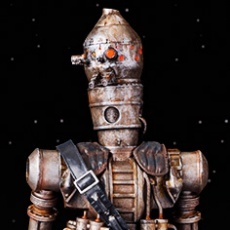 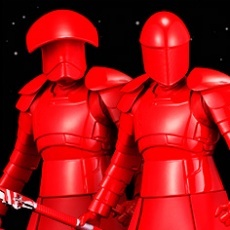 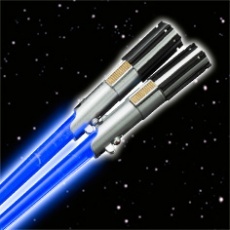 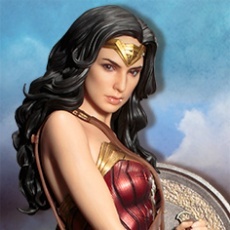 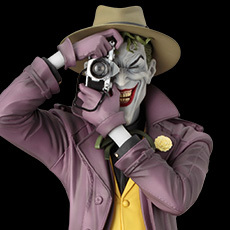 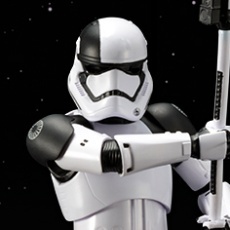 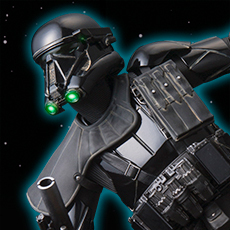 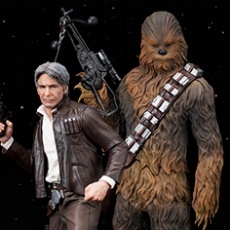 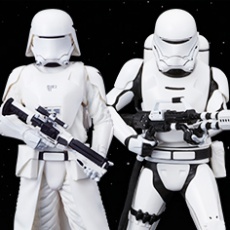 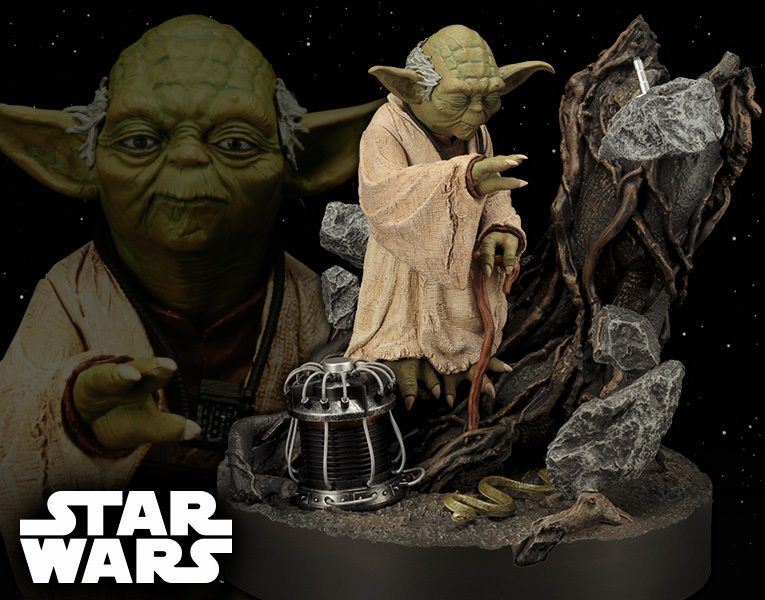 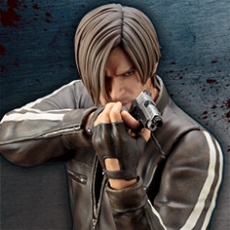 The diorama-style scene will look perfect as a centerpiece to your Star Wars ARTFX collection!